Zinc Phosphate is the universal chrome-free anticorrosive pigment for multiple purposes. Our VB Techno Zinc Phosphate “M Family” is a zinc oxide free zinc orthophosphate tetrahydrate, Zn3(PO4)2,4H2O, generically identified as «zinc phosphate». It contains no soluble salts which might have a detrimental effect on the anticorrosive performance. Being in the tetrahydrate state, Zinc Phosphate “M Family” is stable and non-hygroscopic. Due to its low refractive index (1.6), it has low tinting strength. It is highly dispersible and characterized by a low hardness (3.35 Mohs) and a medium-low oil absorption. 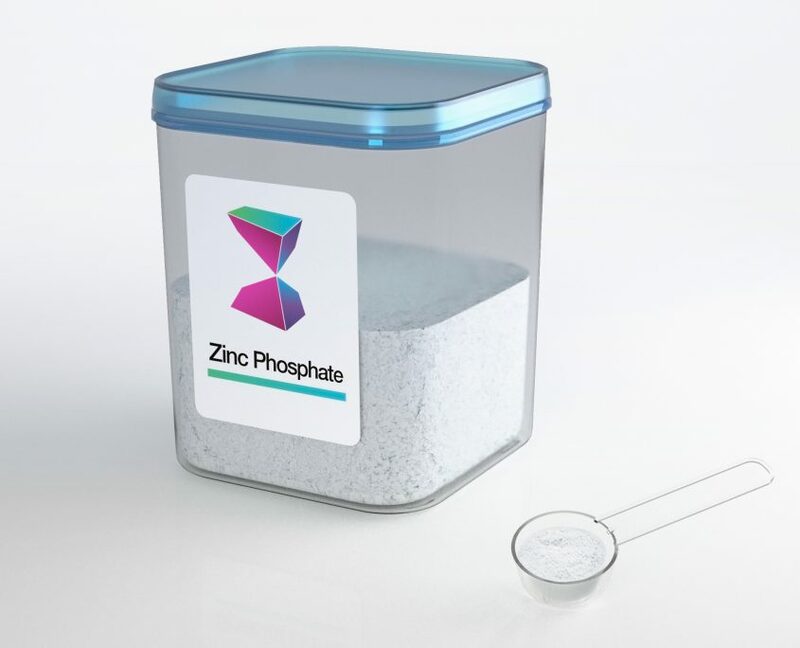 Zinc Phosphate “M Family” is particularly stable in most resin systems. Zinc Phosphate “M family” by VB Chemicals match and exceed the excellent performance of any available qualified source.